Who can use a Deed of Adherence? Anyone becoming a party to a shareholders’ agreement. What is a Deed of Adherence for? It is a short document for use when an individual (or company) becomes a shareholder in a company whose shareholders have signed a shareholders’ agreement. The new shareholder signs up as a party to the existing shareholders’ agreement. We have more than one shareholders’ agreement: for a company with two shareholders, see our document A107 or our document A166 for a company with three or more shareholders. What are the main issues for a company requiring a deed of adherence? Every shareholders’ agreement will have terms that regulate the rights and obligations of the shareholders. When a new shareholder is introduced, the existing shareholders will want that individual (or company) to be subject to the same rules. So, signing the deed of adherence should be a condition of becoming a shareholder. 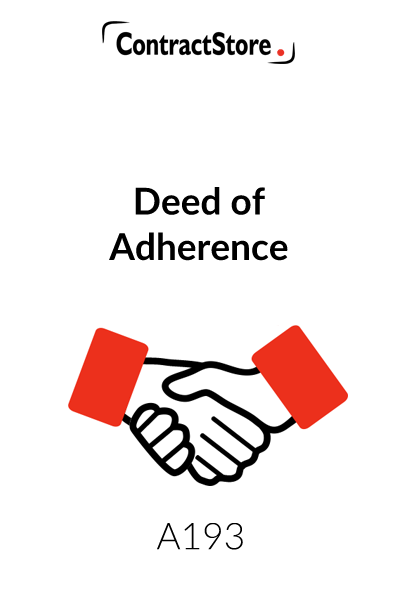 What does the deed of adherence contain? 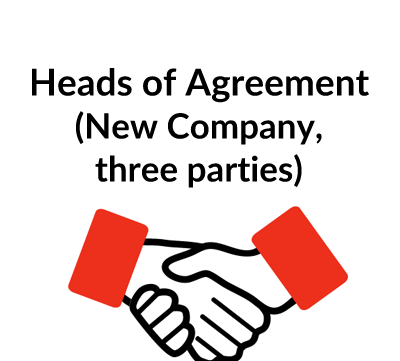 Three paragraphs, the main purpose of which is to have the new shareholder undertake to be bound by the terms of the existing shareholders’ agreement. While very short, the document is an important one: without this formality, a new shareholder would not necessarily be committed to the same obligations as the rest. For more information, see our Explanatory Notes below, which you will also receive when you download the document from our website. For information on signing documents and deeds, see our contract signing page. Yes, you can. ContractStore’s templates are prepared in MS Word and are easy to edit. You can fill in the details and alter the terms as appropriate. ContractStore is a publisher of legal templates, not a law firm. But we have well-qualified lawyers who prepare all our documents. So, we can arrange legal support if required. For more information see our Legal Services page. It is quite common for a shareholders’ agreement to contain a condition that if a shareholder transfers his shares in the company to someone who is not already a shareholder, by sale or gift, the transferee should become a party to the shareholders’ agreement in his place. This Deed of Adherence is for use in those circumstances and commits the new shareholder to become bound by the terms of the shareholders agreement. 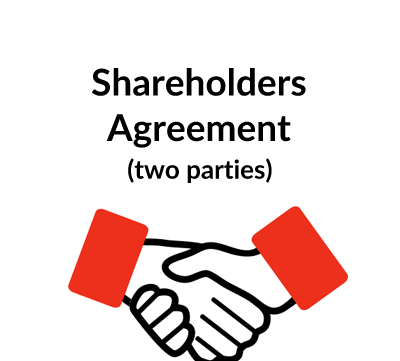 The wording also allows for the document to apply when the new shareholder, instead of acquiring his shares from an existing shareholder, subscribes for new shares in the company and is required to become a party to the shareholders agreement. 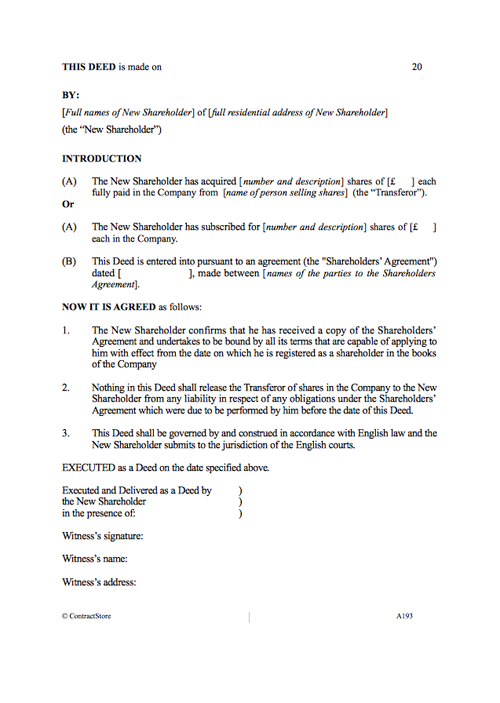 The Introduction sets out the particular circumstances of the new shareholder’s acquisition of the shares – so one of the two versions of Paragraph A should be deleted. As this document does not involve any ‘consideration’ under English law it needs to be in the form of a deed to ensure that it is legally enforceable. A consequence of using a deed is that the manner in which it is signed (or ‘executed’) is important: an individual is required to sign the deed in the presence of an independent witness and we recommend the full name and address of the witness are written into the document as indicated. More information on signing documents can be found at signing contracts. Clause 1 sets out the basic commitment of the new shareholder, namely that he becomes bound by the terms of the shareholders’ agreement from the date he becomes a shareholder in the company. It also makes it clear that he has been provided with a copy of the shareholders’ agreement, so he knows what he is committing himself to. Clause 2 applies where the new shareholder received his shares from an existing shareholder: it clarifies the fact that the outgoing shareholder is not relieved of any liability he had before ceasing to be a shareholder. If the new shareholder is issued with shares by the company instead of getting existing shares, this clause should be deleted. Clause 3 specifies that English law and the jurisdiction of the English courts apply to the deed.